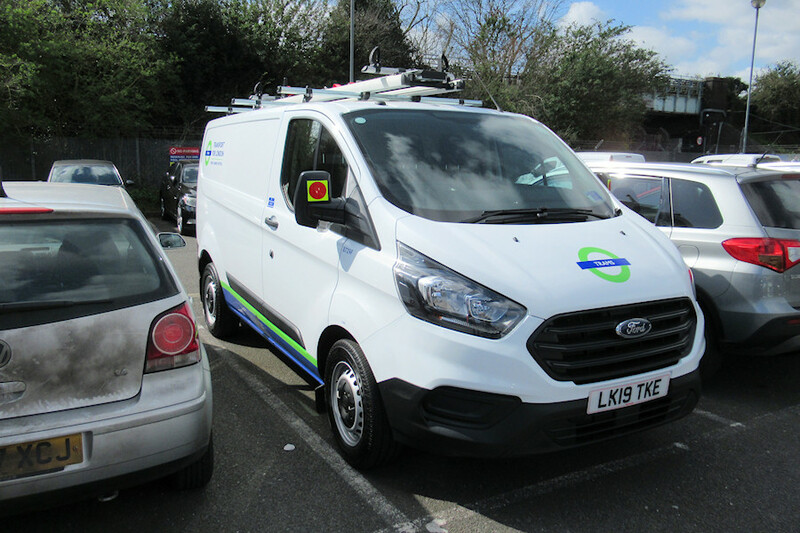 Details: An unexpected find in the front car park of Acton Works in March 2019 was a Ford Transit Custom van for Tramlink, the first Custom model to appear in the white/blue/green livery. Numbered 8729F, it was photographed on 26th March 2019. Also present here during the month were a batch of at least 6 new Custom crew vans in LUL livery, seemingly destined for the Lifts and Escalators department at Frank Pick House.